We are often approached and asked to pin down a single exercise as the one that will help lose the most fat and sculpt the quickest. That’s not an easy question to answer. You see, I’m very aware of the fact that though an exercise may be perfect for Client A, it may not be the best choice for Client B—hence my hesitation to label any exercise as the universal best. Now let’s look at a free weight walking lunge. You start by standing with your feet together and a dumbbell in each hand at your sides (or a barbell across your shoulders, or a medicine ball held at your chest, or even with no weight at all). You take a large step forward and lower your back knee, keeping your front knee at a 90-degree angle. Now you push off your front foot and pull your back leg forward, repeating the movement. You certainly worked your quadriceps, gluteus, hamstrings, calves, abdominals, supporting muscles in your shoulders, arms and back- just to name a few. 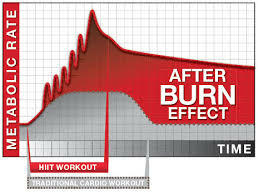 You also raised your heart rate and really kicked your metabolism into high gear. That’s what I call a great exercise. So what’s the best exercise for you? Find out – call or email us today to schedule your no obligation fitness consultation.